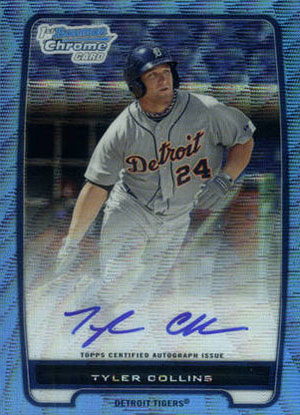 It's doubtful that anyone anticipated the 2012 Bowman Baseball wrapper redemption program to be as popular as it was. 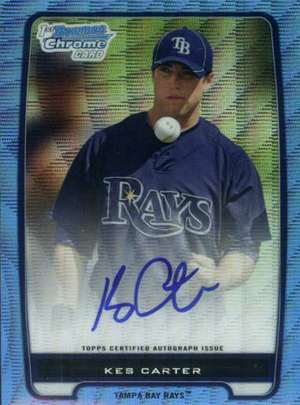 Sure, the run of 10,000 2012 Bowman Blue Wave Refractor packs would eventually be exhausted. 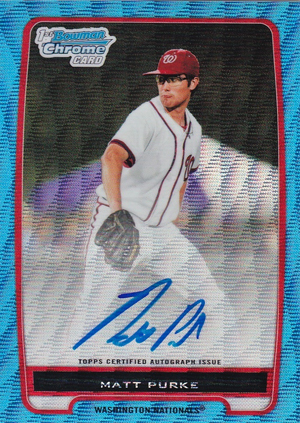 But within a week? 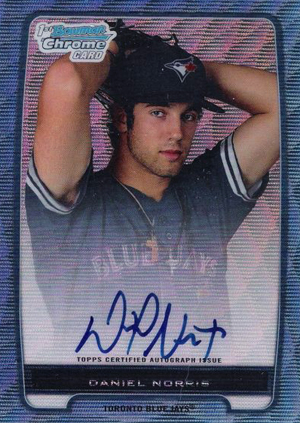 That's exactly what happened. 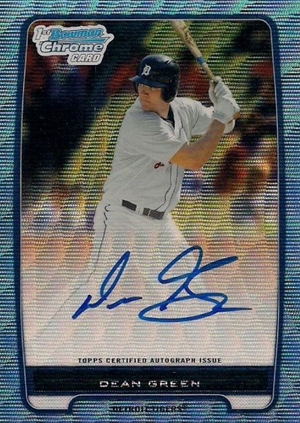 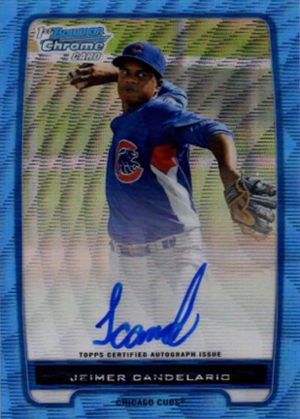 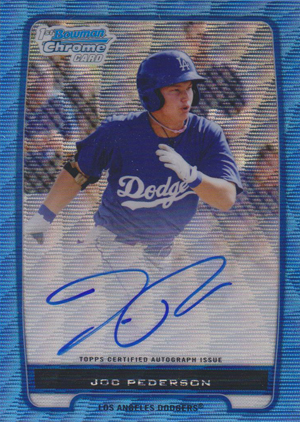 That same frenzy has carried over to secondary market prices as collectors are sending prices of the 2012 Bowman Baseball Blue Wave Refractor Autographs soaring. 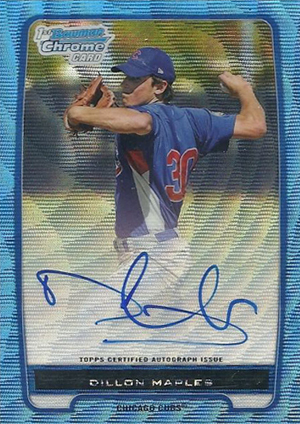 Numbered to 50, the Blue Wave Refractor Autographs are a parallel to the 2012 Bowman Chrome Prospect Autographs. 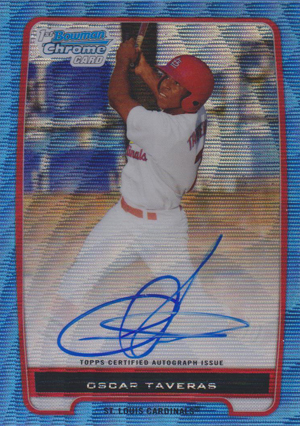 The checklist has 38 players including Oscar Taveras, Jackie Bradley Jr. and Dante Bichette Jr. 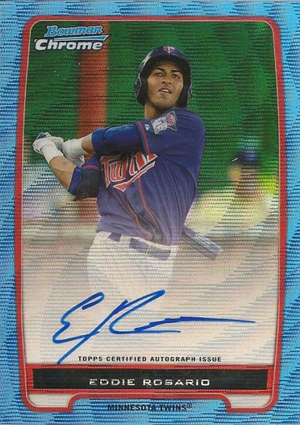 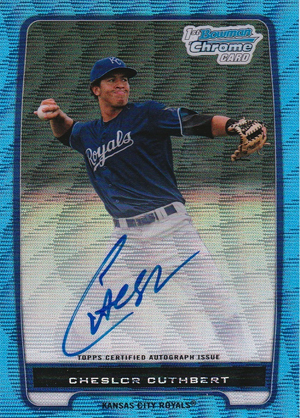 Some early sales of the 2012 Bowman Blue Wave Refractor Autographs are outpacing the always-popular Bowman Chrome Gold Refractor Autographs, which are also numbered to 50. 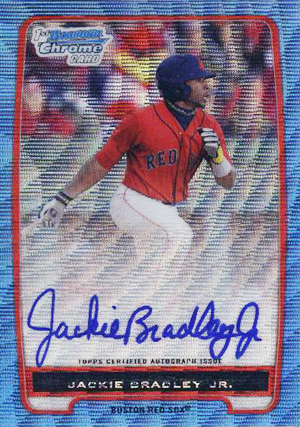 For example, Bradley's Gold Refractors have peaked on eBay at $229 with most hovering in the $200 range. 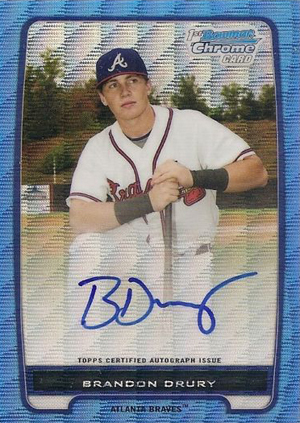 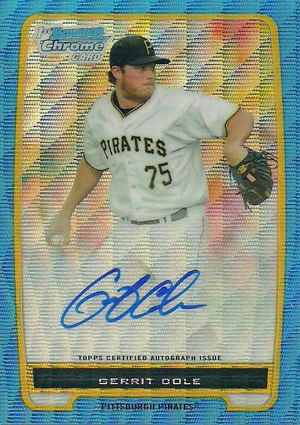 Bradley's first Blue Wave Refractor Autograph sold for $255 with ensuing copies hovering around $225. 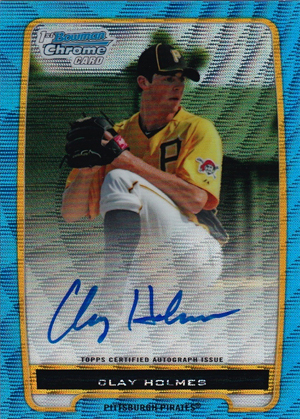 It is still very early as some are only getting their Blue Wave Refractor packs now. 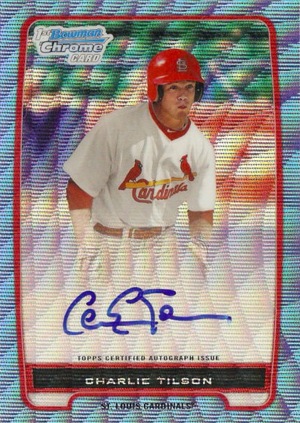 There has also been a lot of movement in unopened packs as they're going for about $20 each. 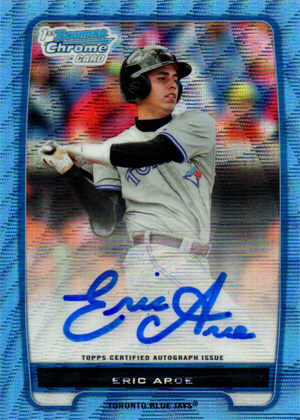 It has been reported that these packs can be searched so collectors should take extra caution buying from trusted dealers. 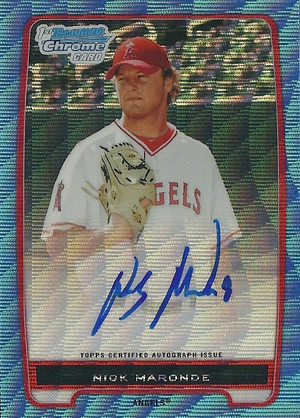 These sales do not take into account any deals done off of eBay or auctions that closed early. 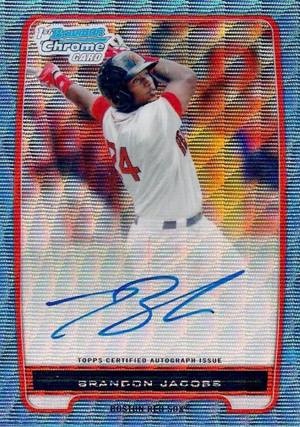 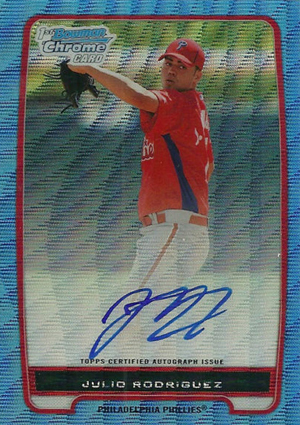 However, it does show that the 2012 Bowman Blue Wave Refractor Autographs are red-hot, especially for something that wasn't readily available via traditional avenues. 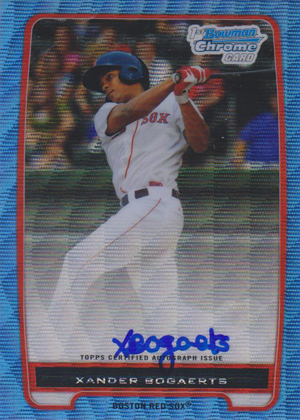 It will also be interesting to see if Topps tweaks future wrapper redemption programs as many were caught off-guard with how quickly the packs ran out. 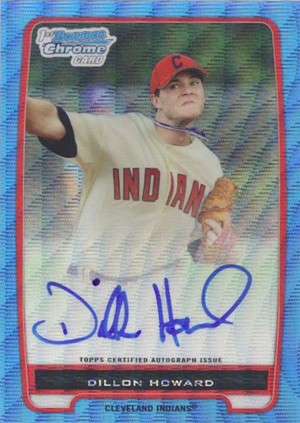 As a result, many who waited even a couple of days to send their wrappers in or to buy their boxes were shut out. 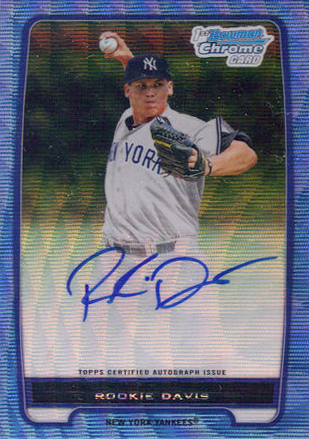 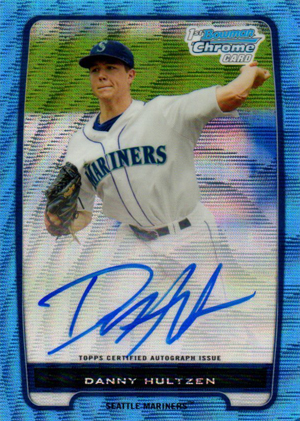 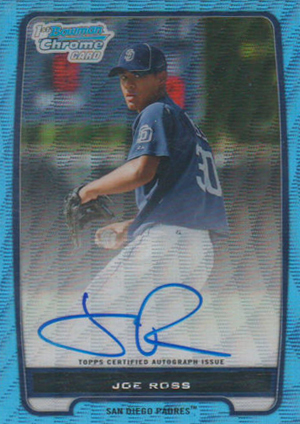 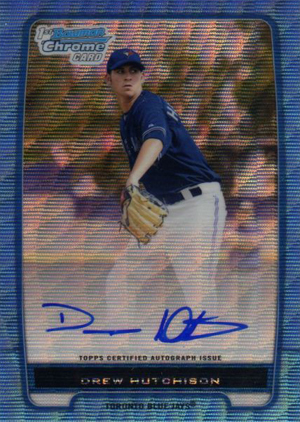 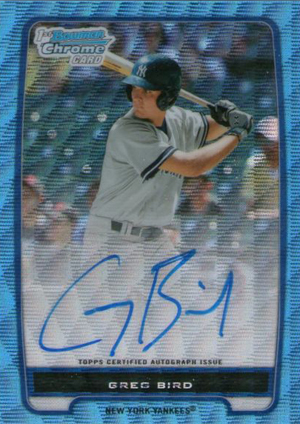 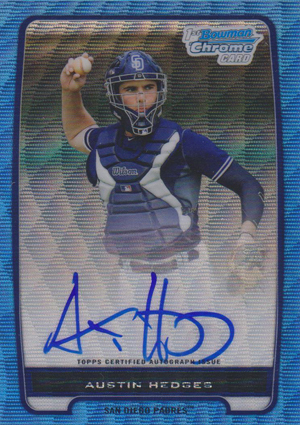 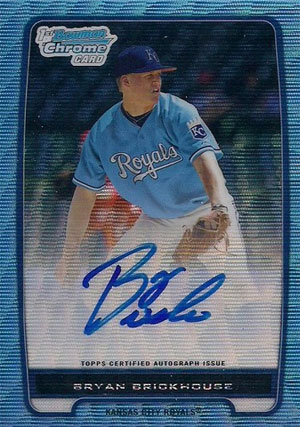 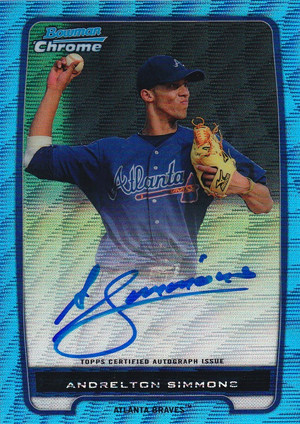 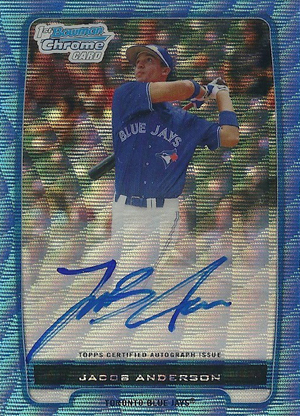 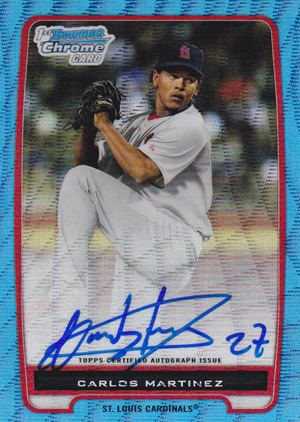 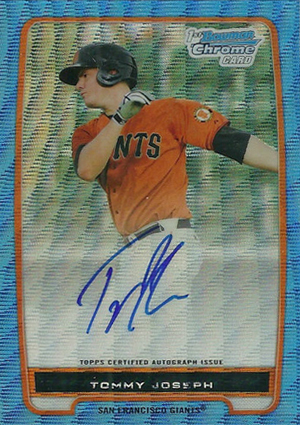 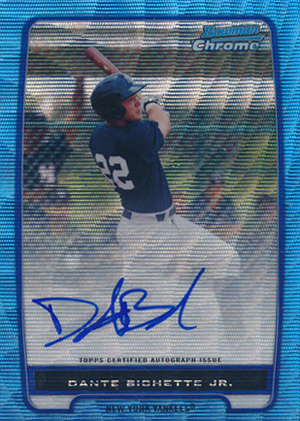 Here is a gallery of all 38 2012 Bowman Baseball Blue Wave Refractor Autographs. 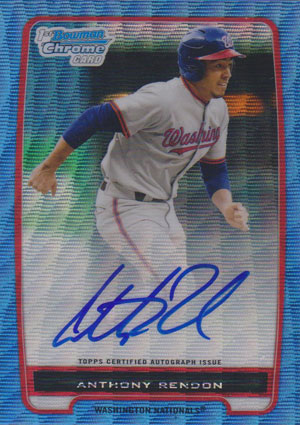 POP 1 PSA 9 MANNY MACHADO 2012 BOWMAN CHROME RC AUTOGRAPH BLUE WAVE REFRACTOR ! 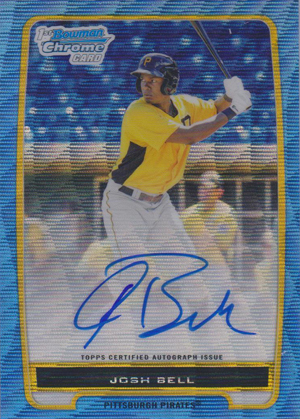 2013 and 2012 Bowman Chrome sealed BLUE WAVE pack Puig?